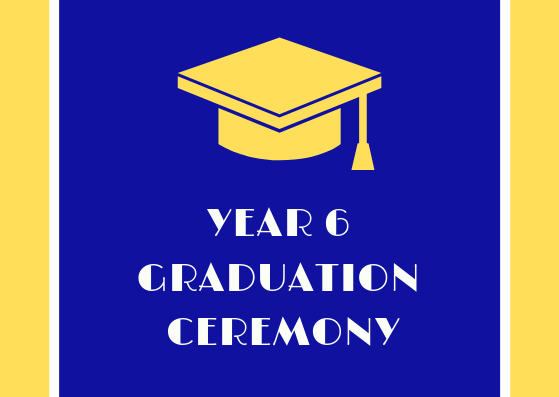 Our Year 6 students will be celebrating their graduation on Wednesday 19 December, from 6 – 9pm. The graduation will be held at the Fairfield Park Boathouse. Please arrive by 5:45pm. Parents are invited to watch the graduation ceremony which commences at 6pm and concludes at approximately 7pm. Students will then eat a meal and celebrate until 9pm. Parents are required to collect their children at 9pm.